Social media is a tool, plain and simple. I have lots of tools in my toolbox, including hammers, saws, screwdrivers (manual and electric) wrenches, and so on. It doesn’t mean one tool is better than another, they just serve different purposes. Nobody should “own” the tool. The phone system is a tool, you don’t see Marketing asking the Customer Service team for permission to use the phone. Hopefully, my homemade “infographic” can put social media and its surrounding terms in context. 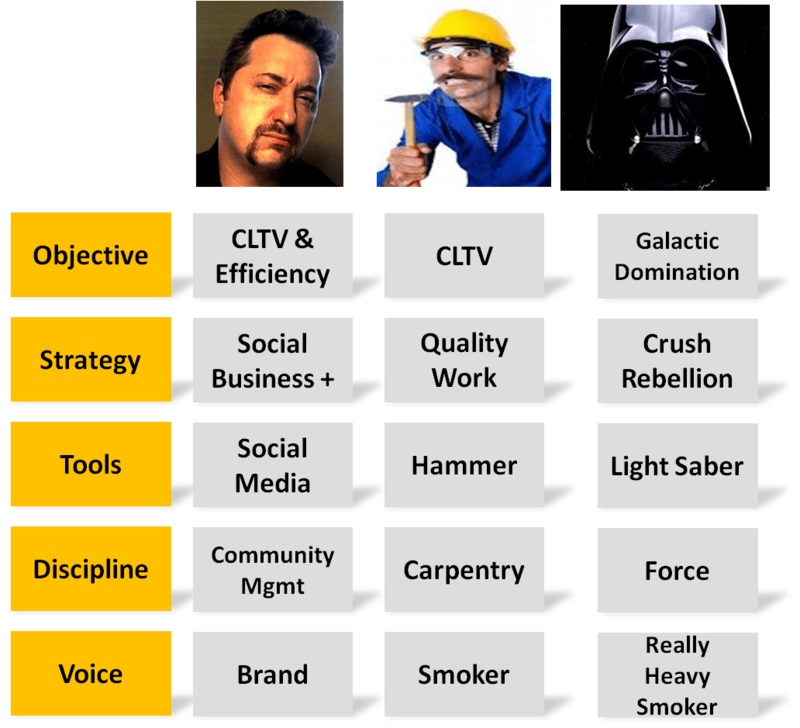 While I consistently use the carpenter analogy (just because you swing a hammer, doesn’t make you a carpenter, it just makes you more dangerous), I thought including Lord Vader may connect with my audience a bit more. Do you have social pet peeves or things that generate frustration? Do you use a different analogy? Do you do one of those things that drives me crazy? If so, we should fight on the playground at Three o’ Clock High style.